Hatsumode – Embrace a peaceful start to the new year | IS JAPAN COOL?-Travel and Culture GuideIS JAPAN COOL? As a day of new beginnings and possibly the calmest on Tokyo’s calendar, New Year’s Day (ganjitsu) is a chance to see the city in an entirely different light. At a time of year when many cities around the globe are building towards an incomparable crescendo, Tokyo slows down – almost to a pleasant halt – as many of its residents return to their hometowns to join their families in welcoming the new year. Yet despite the first of January rendering Tokyo as quiet as ever, with a little searching you’ll find shrines filled with warm atmosphere as locals gather for hatsumode – the first prayer of the year. Whilst some people make the journey to grander destinations such as Zoujoji and Meiji Jingu on New Year’s Eve to enjoy the festivities and complete hatsumode in the early hours of the morning; many opt for their local shrines on the morning of the 1st, when proceedings tend to move at a slightly more comfortable pace. 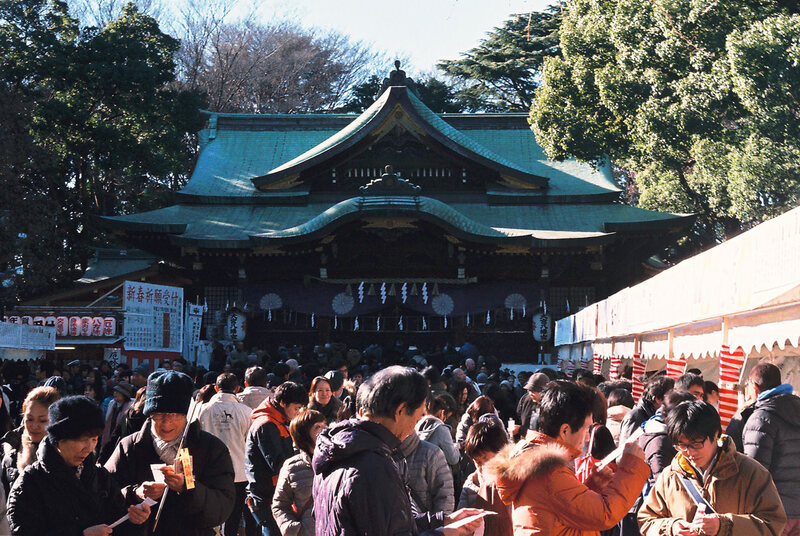 Amongst the smaller neighbourhood shrines, Yoyogi Hachiman has become a popular spot due its reputation as a power spot; whilst the impressive Omiya Hachimangu – its unmistakable vista lined with food carts and festive stalls – is an equally alluring spot to experience hatsumode in Tokyo. 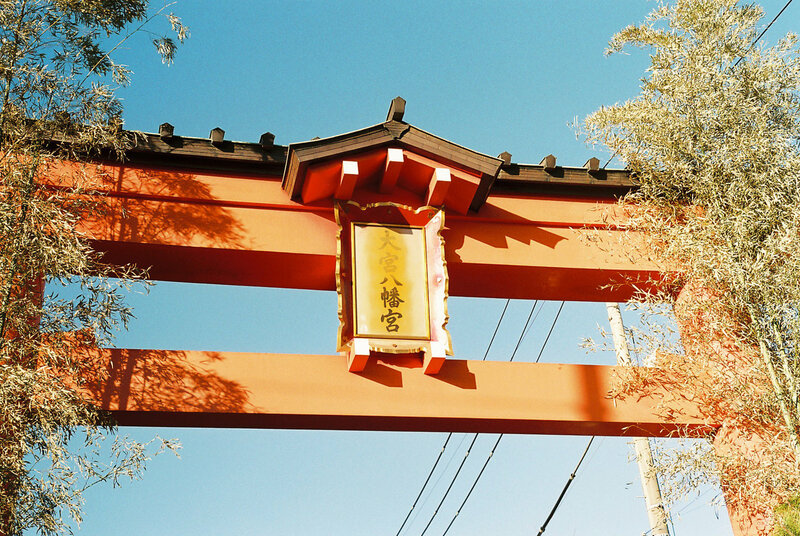 Once you’ve decided on a shrine, being a part of the annual custom is as simple as pausing to bow in front of the torii gate at the shrine’s entrance, before heading to the small fountain nearby where you can cleanse your hands. 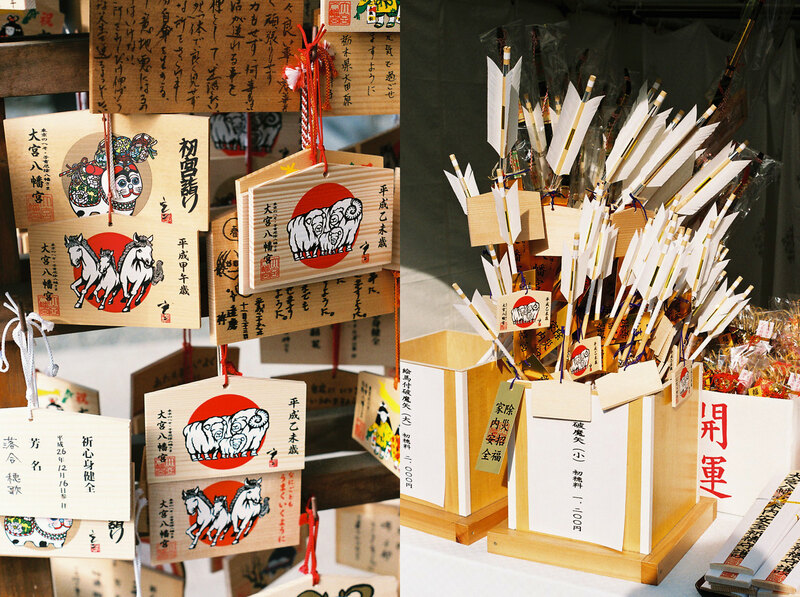 Having made your way to the front of the queue at the main shrine, toss a coin into the box and bow twice, clap twice and silently make your prayers for the upcoming year. 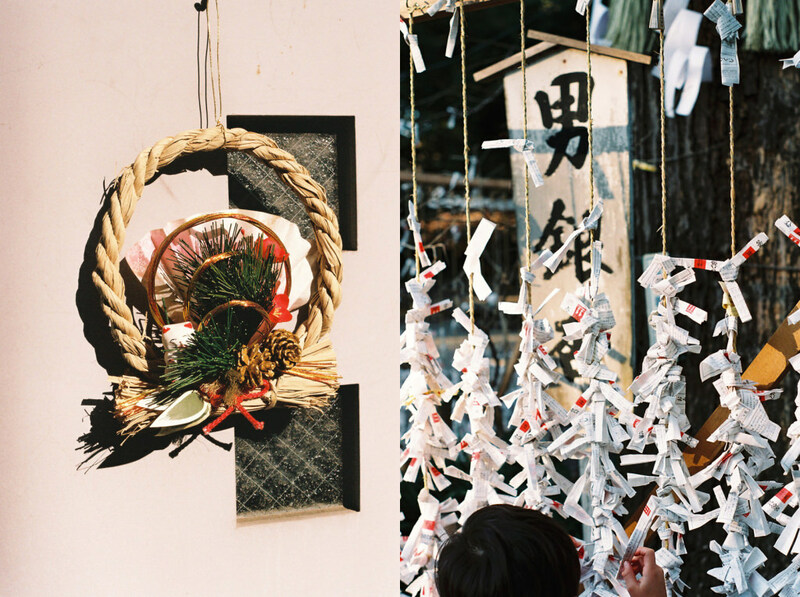 On your way out, you can purchase good luck charms and fortunes – the unfavourable of which you will find tied to string lines by the entrance. As you leave the main grounds, turn and bow once more to complete your prayer. Standing shoulder-to-shoulder with the locals at hatsumode is an unforgettable experience, and there’s a good likelihood that you’ll bump into the same people again later as they enjoy winter favourites such as shiruko (sweet red bean soup) at the pop-up food stalls. Having indulged in some warm snacks and with the new year now underway, you can partake in the simple pleasure of enjoying a quiet and peaceful version of the city before the routine returns once again.